Oh boy. Where do we even begin? Babywearing has been around essentially forever, although in modern times it has taken new forms. My mom talks about how she wore me in a sling while she painted the house (I’m sure those fumes were great for baby me…) and there are pictures with my dad carrying my brother and I in a backpack type carrier on hikes. I hear people talk about babywearing as being a trend. Well, it is a very practical trend and one that dates back ages. It is so hard to get things done around the house with a new baby. So. Freaking. Hard. My baby hates being set down and not having all of my attention on her, which yes is going to be very problematic one day. But mostly I think she just needs constant stimulation, whether that’s through a person playing with her or having things to observe. My baby also enjoys being held, which can make our arms so tired. That is why babywearing is essential for us. Read more about the benefits of babywearing here. But there are SO many different types of baby carriers. What did I do? Join a few baby wearing Facebook pages. And guess what? That just overwhelmed me more. People on those pages are very opinionated and those opinions differ vastly on what carriers are best. Plus some people on those pages seem to have unlimited budgets to spend on carriers – it is insane. I’ve compiled this list in hopes that it can help you determine which babywearing method is best for you. And hey, you aren’t limited to just one. If you have the financial means try a few do so – for me different carriers work best in different situations. 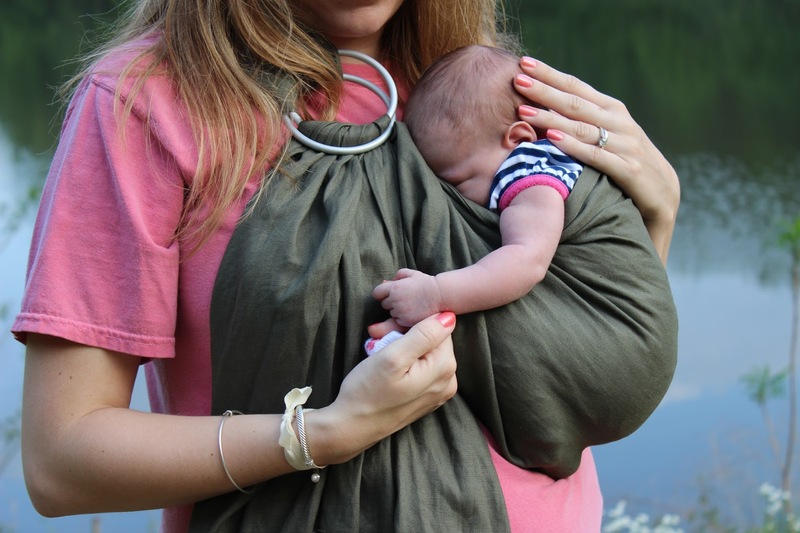 Ring slings are essentially one long piece of woven fabric attached to strong rings certified to be safe for babywearing. This is the first type of carrier I purchased (while still pregnant) because I thought they were fashionable. I struggled so hard to make this work during the first months because I wanted to love it so bad. I even wrote about using it on here! But finally I broke down – I didn’t love the sling, although I did love wearing my baby. The rings hurt my shoulder and I felt like I still needed to keep a hand behind MG’s head because it doesn’t have great neck support. Plus I had a hard time getting her into the correct kangaroo position recommended for newborns. Fast forward a few months and I love my ring sling. It’s so easy to throw on and off and involves no complicated wrapping. I don’t have to worry about head support or figuring out the kangaroo position as Maddie Grace is now 4 months, I just throw her on my hip and we are good to go. It still bothers my shoulder if I leave the sling on too long, but for shorter periods of time this is my go to carrier. Ring slings come in several different fabrics, including gauze, woven, and silk. I’ve even heard of mesh ones made for use in water. The ring sling I have is a woven from Sakura Bloom , and I really like it. It is well made, the material isn’t so thick that it is overly hot but is thick enough that it supports baby well and is soft. Several other companies make them and lots of work at home moms sell them online as well. If you make one yourself or buy a handmade one, make sure that it is made with certified sling rings to ensure safety. Stretchy wraps are one long piece of slightly stretchy fabric. 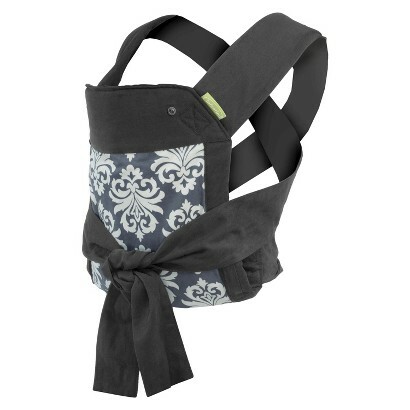 Also referred to as Moby style wraps in the baby wearing community, this is the very best baby carrier for a newborn. I purchased one of these when Maddie Grace was one month old, and wish I had purchased it while still pregnant so I could have used from the very start in the hospital. The stretchy material is soft and lightweight and oh so comfortable for both you and baby, and it makes the wrap easy to use. The best part about stretchy wraps is it’s easy to stick your newborn’s head under one of the rails to give your baby extra head support. The downside to stretchy wraps are having to wrap the wrap itself, it takes a little bit of time and can be complicated to get it just right. Stretchy wraps are amazing for the first few months, but once my baby got heavier and wigglier I knew I needed to find something more supportive. Companies that manufacture stretchy wraps claim they can be used on babies up to a year, but I don’t see how any baby that big wouldn’t be really sagging in it which would hurt mama’s back. Although these are called Moby style wraps, there are many brands besides Moby who make them. 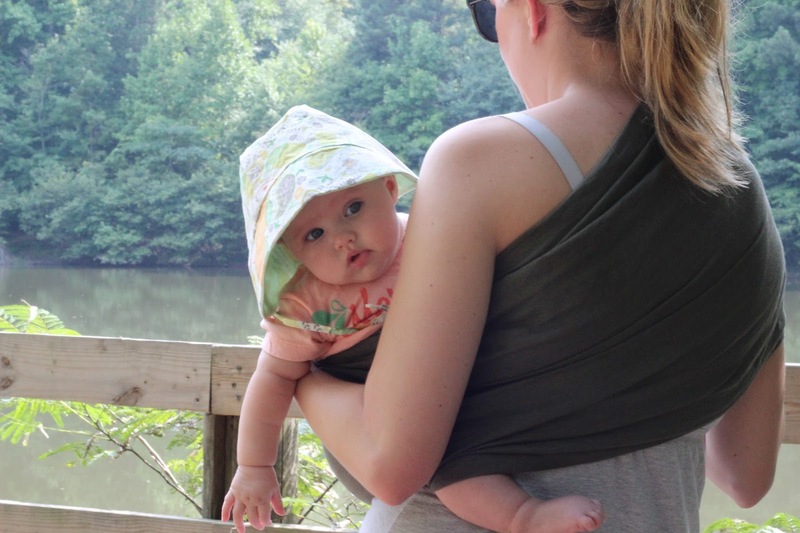 I’ve never tried a Moby – mine is from Solly Baby Wrap and I love it. Solly’s are nice because they are stylish, and thinner at the ends making them easy to tie. Plus they can be folded up into a little pouch which is awesome for traveling. Woven wraps are the same concept as stretchy wraps, yet made of a woven material which make them a more supportive carrier than stretchy wraps. I’ve just begun using a woven wrap and it quickly became my new favorite. Woven wraps are a lot sturdier than stretchy wraps, and come in the most beautiful designs. 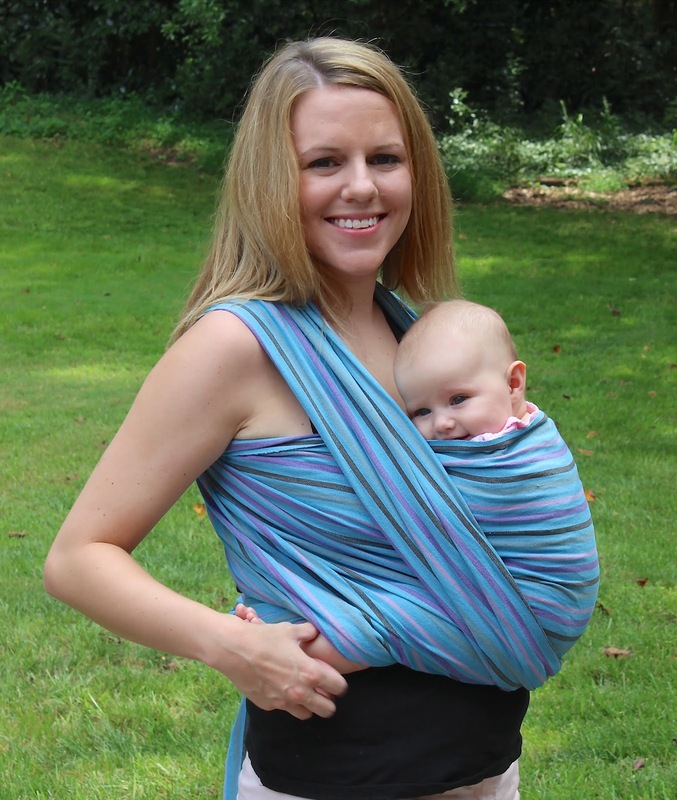 There are many different ways that you can wear your baby in a woven wrap – and some women pride themselves on being able to do very intricate and cool looking styles. MG seems to be very comfy in a woven wrap, as am I. I do not feel that MG sags at all in the woven wrap as she does now in the stretchy wrap. It does take a while to get MG in the wrap just right, but this is my favorite carrier to use when I know I will be wearing her for a while (aka cleaning the house). Woven wraps will also last a while – there are women with 3 year olds that still wrap their babies in these Facebook groups. The wrap that I am wearing here is from Hip Baby Wrap, of which I’ll have a full review (and giveaway!!!) later this week. Woven wraps are perhaps the most expensive carrier, and will run you $100-$300 and up, depending on brand, material, and design. There are even some handmade ones using high quality materials that cost around or above $1,000. Popular brands of woven wraps are Girasol, Didymos, and Little Frog. 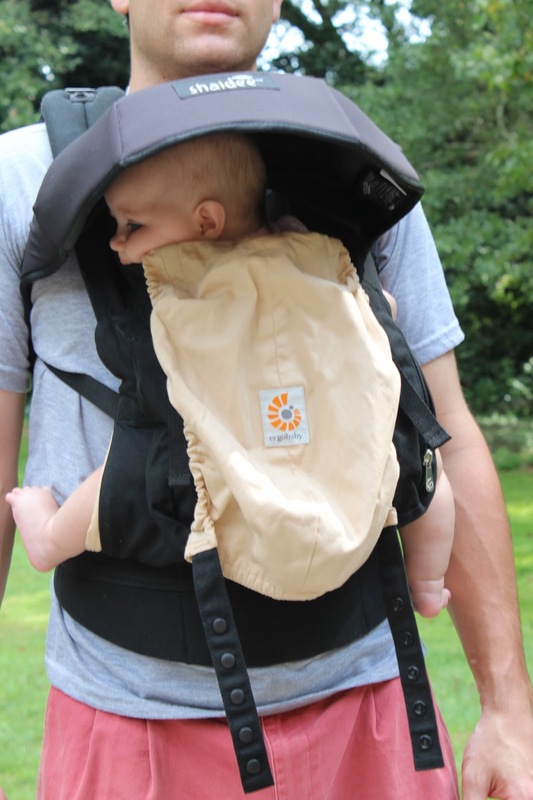 A soft structured carrier is what I would refer to as a backpack for your baby with buckles that connect either around your your back or around your front depending on how you are wearing your baby. My husband’s favorite way to carry Maddie Grace is in the Ergo , which is a SSC, and yes I have made him try all the carriers I own. The key to comfort for both you and baby in a SSC is finding one that is “ergonomically correct.” AKA, try to find one that is not a “crotch dangler,” a category that includes most Baby Bjorn’s, although if you have a crotch dangler and find it comfortable that’s great! My husband loves the Ergo and says it is so comfortable, and he could carry MG around in that thing all day. He also loves how easy it is to put on and take off and that no extra effort is required as in wrapping. I have a harder time with it, but it’s the only SSC I’ve tried. I just find it to be a little big and bulky for my preference. It is also made with a really thick material so I get hot and sweaty wearing it which I’m not a fan of. Some of the more expensive SSC’s have material to make them not as hot and to allow for more breathability. I’m hoping that the more I try it though the more I grow to like the Ergo because it is so easy to use, but right now for an easy carry I prefer the ring sling. SSC’s vary in price, with some being as little as $30 to around $200. Other brands that are supposed to make good SSC’s are Tula and Lillebaby. I have zero experience with Mei Tai’s (note the e in Mei so you don’t confuse it with the delicious drink), but I wanted to list them here because they are one of the most economical babywearing options and people love them. You can do front, back, or hip carries in Mei Tai’s and their fans say that they are super comfortable. If you are short on money but want to baby wear this is a great option! Mei Tai’s cost around $25 – $100. Infantino and Baby Hawk are the big names in Mei Tai’s. Now I’d love to hear from YOU! Do you wear your baby? If so what is your favorite way to do it? My favorite is the Ergo! 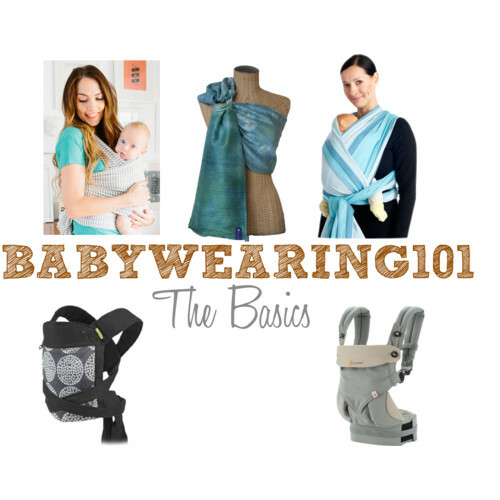 I've tried the ring slings and Moby wraps and hated them! The ergo is great because it was easy for when my little one was smaller and fits her still now as a 1 year old!! I'm not a mama but, one day, when I am, I hope to do a lot of baby-wearing – thanks for the beautiful inspiration! Love this list, with my first born I couldn't mine off (I had the Chicco brand one I was obsessed because it's so convenient. Unfortunately with my twins, me and my hubby didn't buy any but I am loving the woven wrap one, it's stylish.